Mark borders of the picture. 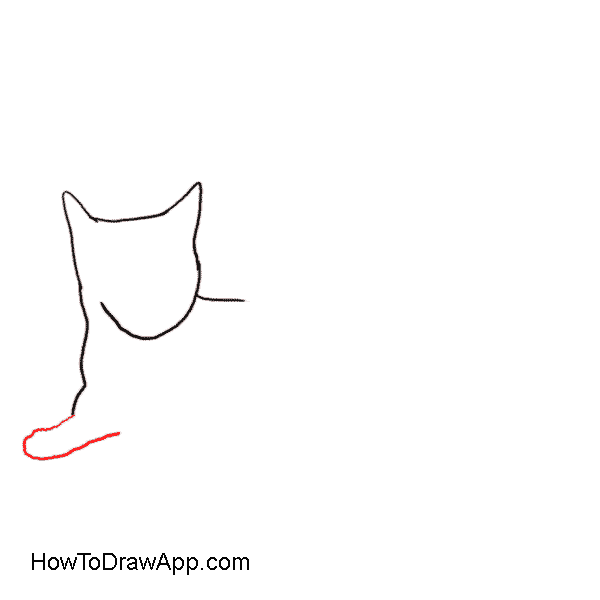 Draw a circle for the head of the cat. Mark two semi-ovals for the body, schedule legs and the tail. 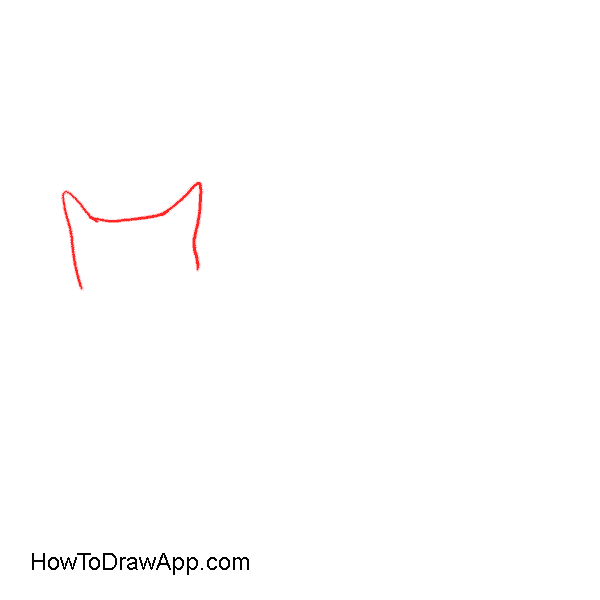 Draw a head of the cat. Start drawing the top of the head and the contour of ears. 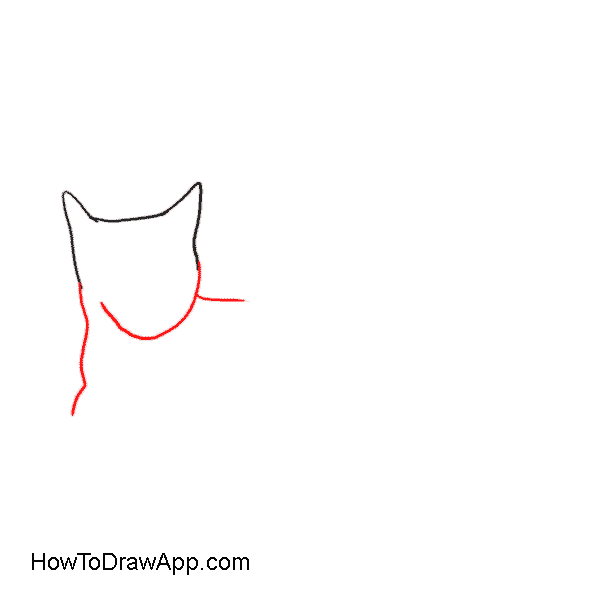 Outline the muzzle, and start drawing the line of chest. Outline the first front leg and a paw. Draw a line of chest connecting two front legs. 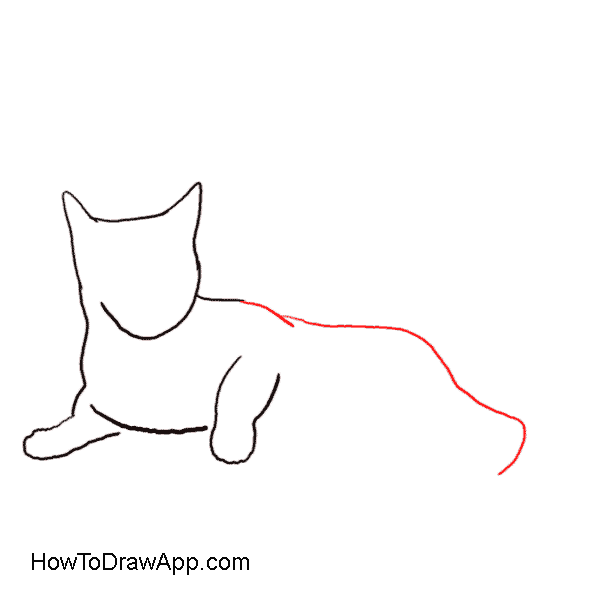 Draw the back line of the cat. 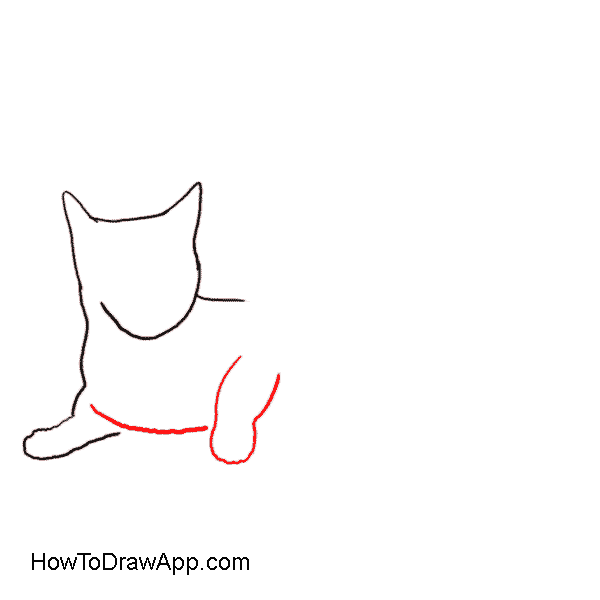 Draw a hind leg and the paw. 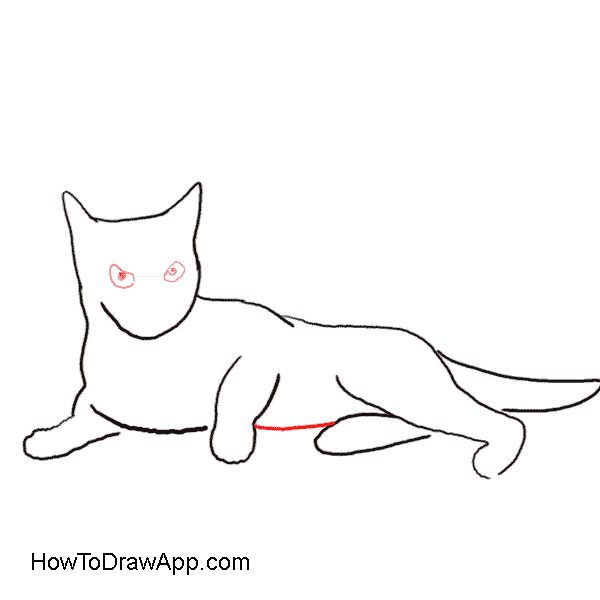 Outline the cat’s tail and another leg. Draw the line of tummy and mark eyes. Schedule a nose and the line of the upper jaw. Mark ears. Add lines to mark nose. 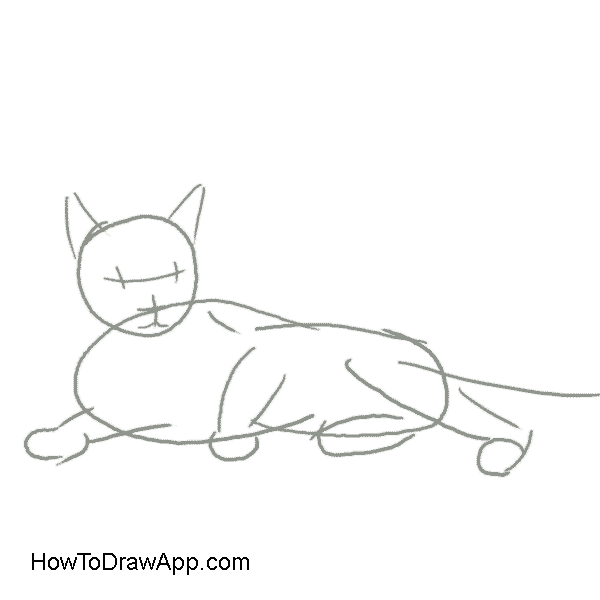 The drawing of a cat is almost done. Now you can color it. 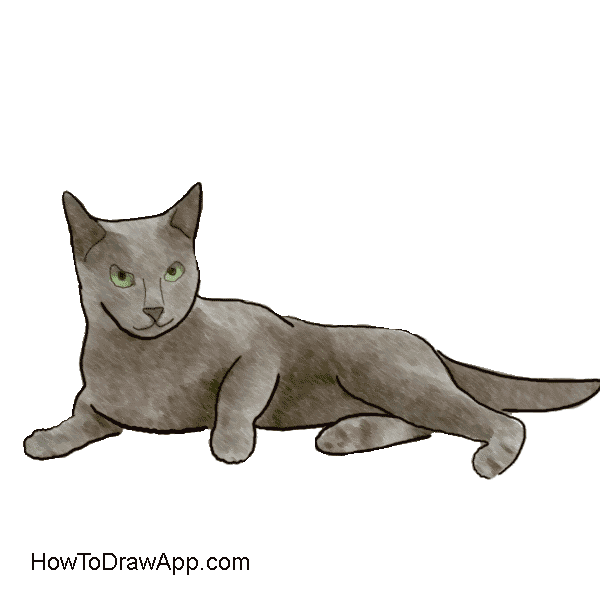 Paint the cat’s eye in green. Make the cat grey or silver blue.